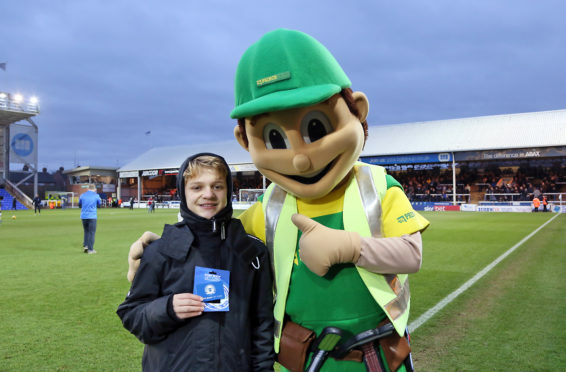 Congratulations to Charlie Jacobs who slotted a shot past Peeby at the pre-Christmas match against Walsall on 22nd December. 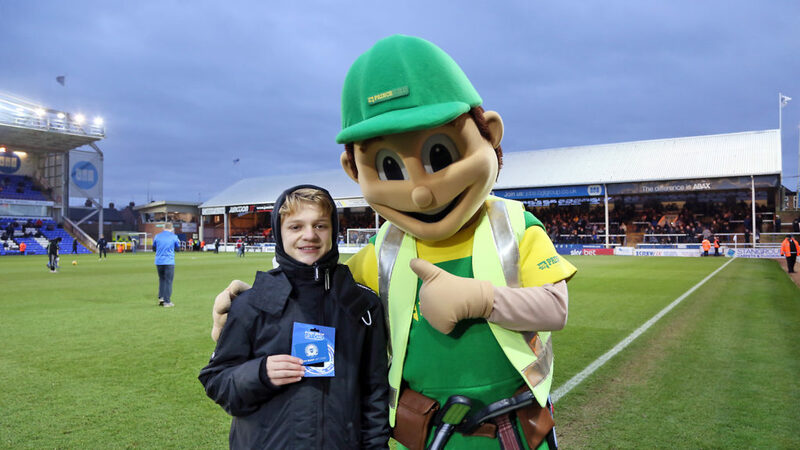 Charlie was presented with £50 of club shop vouchers at the Rochdale game on 12th January. The half time challenge takes place at all home games throughout the season, and each contestant gets three chances to score a penalty past Peeby. There is £50 worth of club shop vouchers up for grabs each game and if Peeby saves all the shots the vouchers roll over to the next week. If you would like a chance to take on Peeby in the next half time challenge you can sign up here to be in the draw.